Watching Giraffes moving slowly across a ridge just when the sun sets – one of the most memorable moments of any safari. The Thanda guests enjoyed watching these magnificent creatures as the golden light faded – Photographers call the hour before sunset the golden hour, because the light is especially good to take Wildlife images. 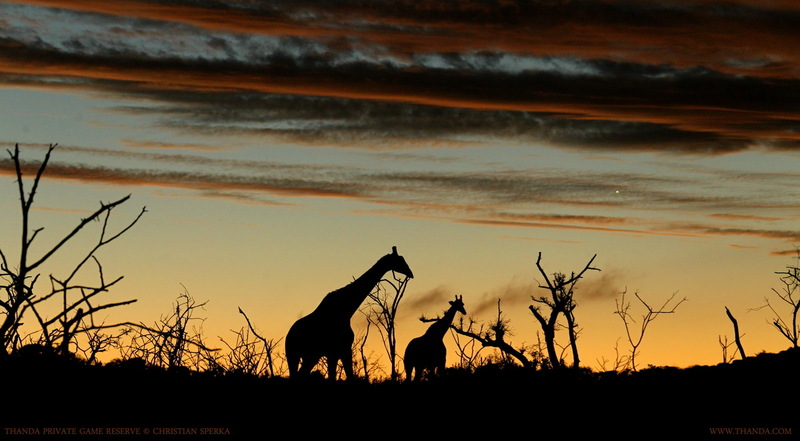 Picture by Christian Sperka – Specialist Photography Guide and Resident Wildlife Photographer – Thanda Private Game Reserve.